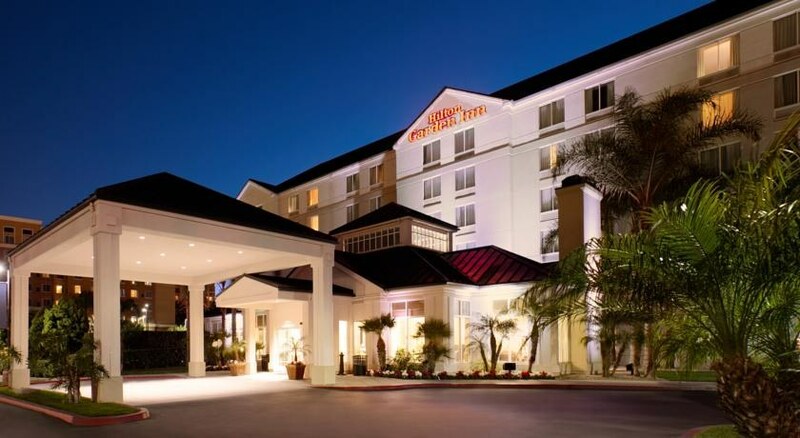 The attractive hotel Hilton Garden Inn Anaheim/Garden Grove enjoys a wonderful location- within walking distance to the exciting rides of Disneyland- Downtown Disney- Anaheim Convention Center and GardenWalk. Other attractions such as Knott's Berry Farm- Angel Stadium- Honda Center or Crystal Cathedral can be reached within a short drive. 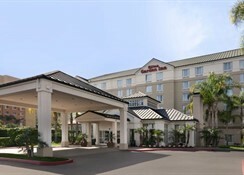 John Wayne Airport is a 15-minute drive away.The elegant hotel offers cosy and comfortable rooms- decorated in a classic style. 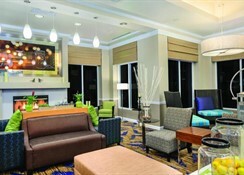 They are well-appointed- and features include complimentary wireless internet access and 32” flat-screen HDTV. Business guests will appreciate the 24-hour business centre and the meeting facilities. 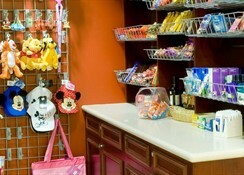 In addition- the hotel offers a 24-hour fitness centre- a heated outdoor pool- a hot tub and a 24-hour convenience store. 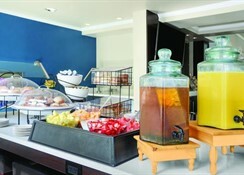 Guests can have breakfast and dinner at the on-site restaurant. 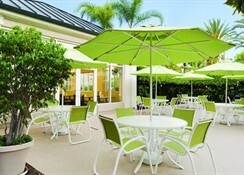 This hotel is an ideal place both for business and leisure travellers.